Caffeine, the most widely consumed “drug” on the planet, stimulates the central nervous system, acts as a diuretic, and interferes with mineral absorption. And if you’re one of those who can’t function without your morning cup of coffee or tea, you’re already aware of its addicting properties. What’s worse, caffeine does affect your baby’s growth—by decreasing blood flow in the placenta—and the larger the dose, the greater the effect. Also, the effect of caffeine is greater in women who metabolize it the fastest. This can happen because of genetics or the presence of nicotine. Caffeine intakes above 200 mg are also linked with a higher risk of miscarriage. (There’s 140 mg. of caffeine in a cup (250 ml) of brewed coffee.) Find caffeine content of your favorite foods and drinks as well as suggested limits for kids and adults here: Caffeine Content–A Mom Need to Know. There may be one more reason to can the caffeine; a small double-blind Canadian study suggested that it negatively affects blood sugar and insulin levels in women with gestational diabetes (GDM). If you have risk factors for diabetes (being overweight, a history of large babies, excess pregnancy weight gain) or have been diagnosed with GDM, watch your caffeine intake even more closely. And if you’re trying to conceive, it’s best to cut your caffeine now, before you get pregnant. It may take some time! Limit your caffeine to 100 mg during the first trimester and up to 200 mg after. Switch to a lower caffeine drink. A cappuccino or espresso has less caffeine than brewed coffee. Tea has about ⅓ the caffeine of coffee—and a boost of healthy antioxidants. 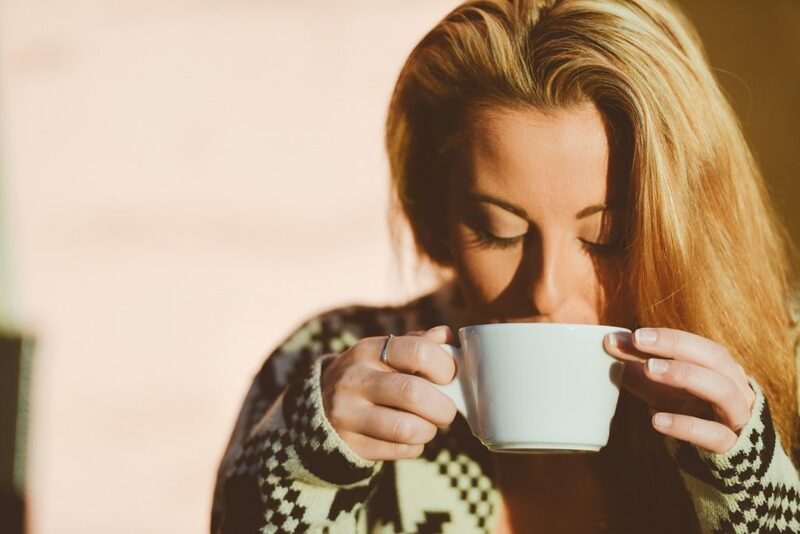 If it’s the ritual of drinking something hot that you crave, try steamed milk with vanilla and honey or other flavoring; hot cocoa, tea, or apple cider. Try decaf. Some decaffeination processes use solvents to remove the caffeine, which could leave a chemical residue. If the label doesn’t specify the method, it’s probably done that way. 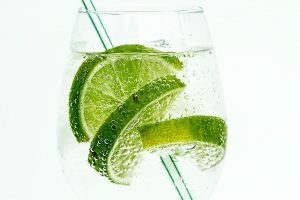 The Swiss Water Method (also called Water Processed), using only water in the decaf process, is the healthiest for you. Caribou Coffee processes their decaf coffee in this way—buy online here. Find local coffee shops that carry water-processed coffee by checking www.swisswater.com/find. 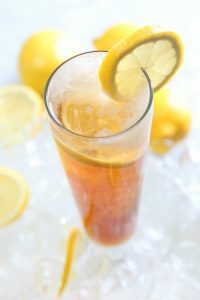 Tea can also be water processed; Lipton is one brand that uses this method. Watch how you caffeinate. Instead of having a large amount of caffeine all at once, try having smaller amount a few times a day. This way you and baby can avoid the big “jolt” of caffeine and you can stay alert throughout the day. Use caution with anything that claims to give you a boost of energy, like energy shots or drinks. They are most likely full of caffeine or herbal stimulants and could be dangerous. Several recent deaths have been blamed on (but not proven to be caused by) the consumption of energy drinks. Experts around the world agree on this: Limit your caffeine to a “moderate” intake of less than 200 mg. So says The American College of Obstetricians and Gynecologists, The March of Dimes, NSW Health (Australia) and The National Health Service (UK). The bottom line: have as little caffeine as you can get by with. Note: This page contains Amazon Affiliate links, which means I either use the product or have done the research to feel comfortable recommending it. In fact I am drinking Lipton decaf tea while typing this!